Achieve WhatsApp transfer from iOS/Android to iOS/Android devices. Backup WhatsApp/LINE/Kik/Viber/Wechat messages chats on iOS/Android flexibly. Full compatible with iOS 12, iPhone XS, XR, etc. 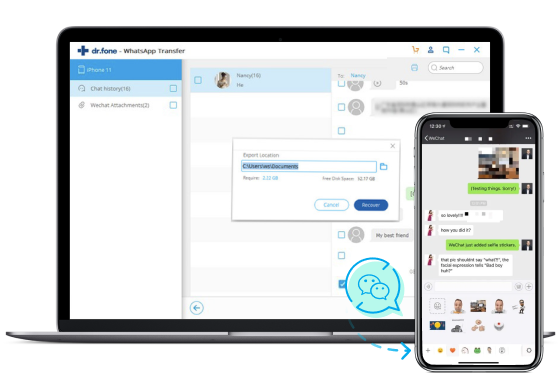 The iSkysoft Toolbox is recognized as a comprehensive and efficient WhatsApp transfer software that enables you to transfer WhatsApp Data easily as you wish from iPhone/Android to iPhone/Android. It offers all-in-one solution to meet any WhatsApp Transfer needs for all kinds of phones with the same or different operating systems. 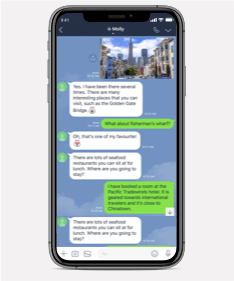 Chat Apps is replacing the old-fashion SMS, and become the main platform where we keep in touch with our friends, family, and business partners. 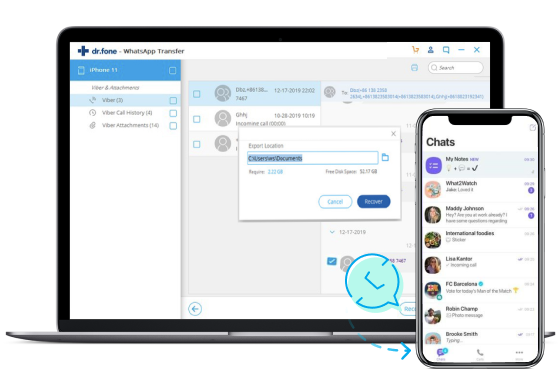 Wanna backup your chats history to keep them safe? Decide to swith to new phone and want to take the chats to the new phone? Then iSkysoft Toolbox - Restore Social App is the one-fits-all solution for you. 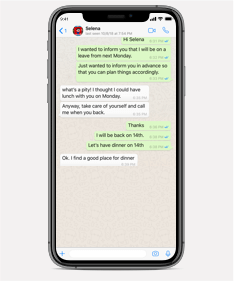 Backup WhatsApp chats on iOS and achieve WhatsApp transfer from iOS to iOS/Android devices. Backup and restore LINE messages and attachments on iPhone. Export LINE chats to computer as HTML file. 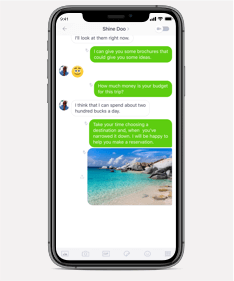 Backup Kik messages on iPhone and restore the backup selectively. Export Kik messages to computer. 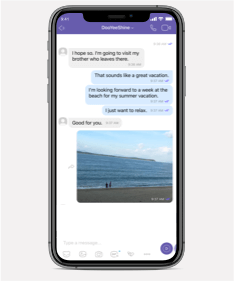 Easily backup and restore Viber messages and attachments on iPhone. View what you've backed up. Backup and restore WeChat messages on iPhone/iPad selectively. Nowaways, WhatsApp plays a more and more important role in our social lives. So when we switch to a new phone, it's a must-do to transfer all WhatsApp messages to the new phone. 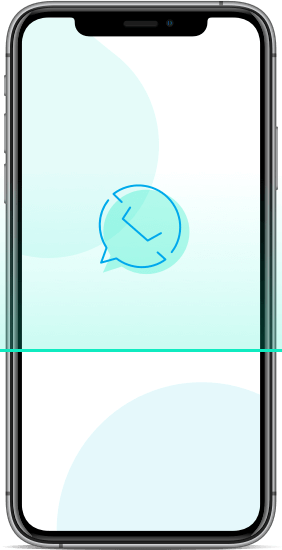 iSkysoft Toolbox - Restore Social App supports to transfer WhatsApp messages and attachments, including videos, images, and files from iPhone to iPhone, iPhone to Android, Android to Android, Android to iPhone in an efficient way. Restoring WhatsApp chat history to iOS/Android is so easy that you have never imagined. After you've backed up WhatsApp messages and attachments with iSkysoft Toolbox, connect your target iOS/Android device, and click Restore to Device. Ta-dah, everything will be restored to the device perfectly. Easily. Smoothly. Offiically, we can backup WhatsApp messages to iCloud, Google Drive, and phone memory. 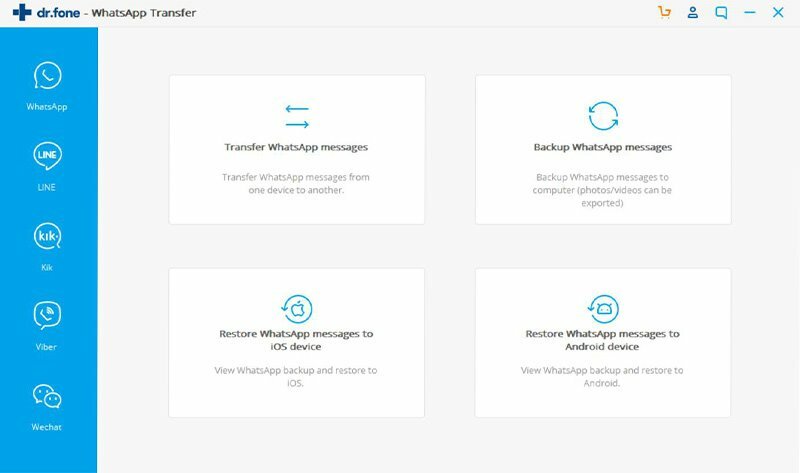 iSkysoft Toolkit - Restore Social App surpasses these official ways in both WhatsApp backup workflow and final results. You don't need to do any complicated configurations. Also, we can browse the backup content and export the selected conversations to computer. iSkysoft Toolbox breaks the boundries of different operation systems and enables you to restore your iPhone WhatsApp chats to Android devices. Before you restore WhatsApp chats, you can view WhatsApp backup content. Only the ones you selected will be safely restored to Android phone. For iOS users, we can backup LINE to iCloud, but only the chats, not images, stickers, other attachments. 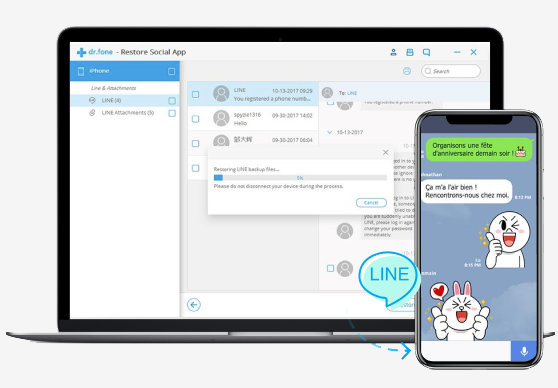 iSkysoft Toolbox - Restore Social App can backup your LINE chats, along with all LINE stickers, images & videos, etc. It's the easiest, safest, and fastest LINE backup solution. You can view LINE backup content and select the ones you needto restore them to iOS/Android devices. Not only the original iOS/Android, you can also restore the backup content to a new iOS/Android device. Selectively export LINE backup files to your computer. The exported messages are readable and printable as HTML file. One-click save& backup Viber chats, with variety of call logs, images, voice and videos saved simultaneously. After that, you can preview backup content, including Viber messages, call logs photos and videos on computer. Restore your Viber messages from previous backup with iSkysoft Toolbox. Select the conversations and attachments you need, and restore them to the original or new iOS/Android device. Flexibly select and export Viber backup files to your computer, exported messages are readable and printable. Attachments such as images, videos will be saved in original format. 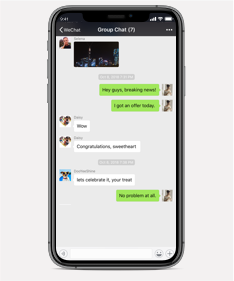 One-click backup Kik chats and attachments on your iOS/Android devices at any time. Your Kik data is safe even you lost your device. Restore Kik messages and pictures from previous backup with iSkysoft Toolbox. You are able to preview each conversation before restoring Kik messages selectively. Exporting your Kik messages and attachments to Windows PC or Mac so you can read or print them at any time. Officially, WeChat can only backup messages to phone memory. It takes up much of your phone storage and it tends to lose the backup if something happens to the phone. 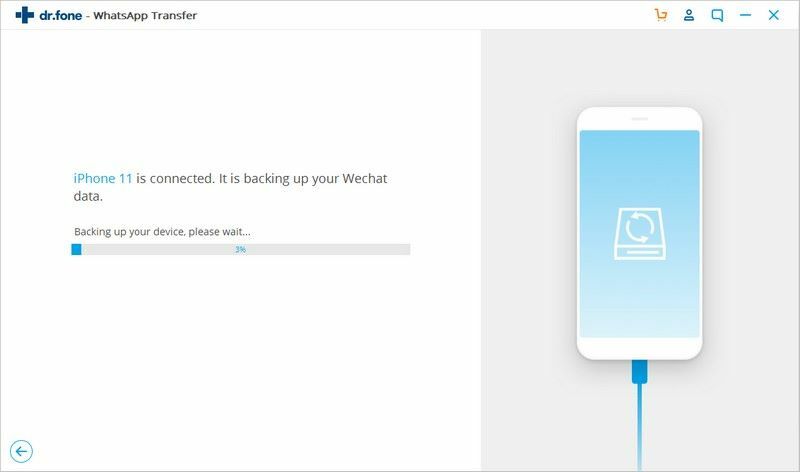 iSkysoft Toolbox helps you backup WeChat messages to computer in 1 click. Makes WeChat backup much easier, safer, faster and more capable. Selectively restore WeChat backup to iOS/Android, no matter you lost all chat messages due to iOS/Android update, or decide to upgrade to a new iOS/Android device. Browse the WeChat backup made by iSkysoft Toolbox. Select the conversations you need and export them to computer. The exported messages will be saved as a HTML file. Step 1: Launch iSkysoft Toolbox. Select Restore Social App and go to WhatsApp tab. Step 2: Select Backup WhatsApp Messages and connect your iPhone. Click Backup and rest is all automatic. 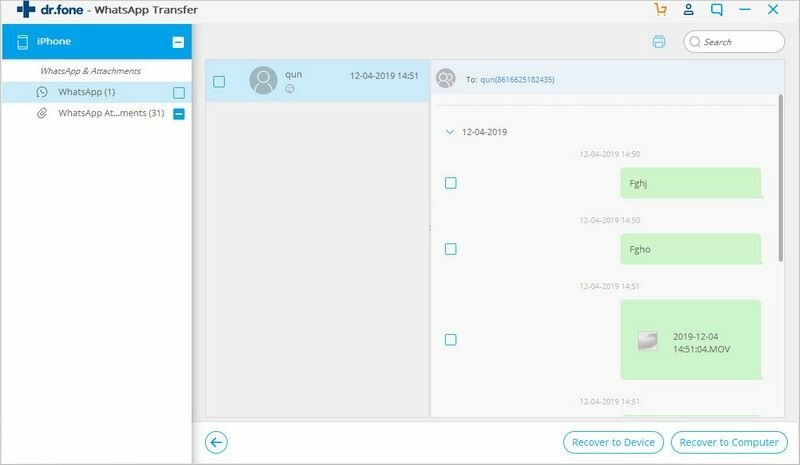 Step 3: Select Transfer WhatsApp Messages and connect bot devices. Click Transfer to move the chats to new phone . iSkysoft Toolbox - Restore Social App supports all Android devices models and iPhone/iPad/iPod touch models, including the latest iPhone XS (Max), XR, X, 8, etc. made backup of my line data with much easy process than any other tool! I never backed up my LINE history but then one day i needed to do it. It backed up my entire data at one click. this tool made a complete backup of my viber data and restored it on my new iphone without any loss!